Rural hideaway bothy for two, with sea-view, wood-burner, WiFi and big telly; ideal for a week of angling, archaeology, bird-watching (or just enjoying the tranquillity). The cottage has been extended, and this addition contains the kitchen, with Rayburn and the usual white-goods, and a newly-refurbished bathroom with shower and a deep tub. Dogs are very welcome, and will enjoy a sniff round the mature garden or a run on the open heather behind the cottage. Cuween Hill tomb is one of the best examples of its kind in Britain, and the view from the top of the hill is superb (it is also a good area for harrier spotting). 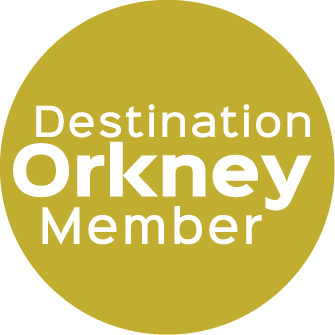 You are at the centre of the Orkney Mainland, equidistant from Kirkwall and Stromness, and it is a short walk from the cottage to the village of Finstown, which has a good bus service. By car, the legendary trout lochs and major archaeological sites are 15 minutes away.